Started in September 2001 with the goal to provide Small Businesses in the East Tennessee area with an affordable and competent resource for all their IT needs. Software and Hardware support, website creation and hosting, even premises wiring; Owen Consulting can provide the service your Company needs. We have the experience and connections you need to provide solutions to any problem. A couple of years ago, I added a blog to the site. The main purpose of this area of the site is to provide an easy method to relay support for common (and some, not so common) errors and problems that we come across. The blog also contains Funnies, area musical events, and many numerous Random Topics. Needless to say, the blog area should have an interest for every reader. Owen Consulting also provides a support Forums. Should you not find what you need in our blog area you can Register for an account in our Support Forums, post your question and quickly get an answer. The Support area is an under-used section of the site so, should you post a question you will get a Quick response. Robert A. Owen, attended the University of Tennessee, Knoxville where he studied horn with Mr. William Bommelje, former principal horn with the Knoxville Symphony, and Mr. Calvin Smith, former Principal Horn with the Long Beach Symphony Orchestra, Long Beach California and Principal Horn with the Knoxville Symphony. Robert has performed on master classes with Eric Ruske and Barry Tuckwell. While at UT, Robert was the principal horn with the University Civic and Opera Orchestra as well as first horn in both the Wind Ensemble and Symphonic Band. 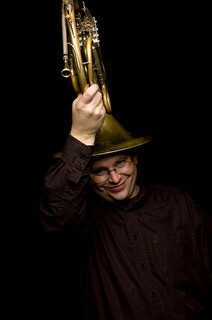 And, In 1995, he won the Music Teachers’ National Association Collegiate artist competition for the state of Tennessee. Since college, he has kept an active Orchestral and freelance playing schedule. From 1994-1997, Mr. Owen served as the Principal horn with the Las Vegas Music Festival and the Festival Chamber Orchestra; and in 1996, was a featured soloist with the Las Vegas Music Festival Chamber Orchestra. In 1997 he performed on a Studio Recording with HGTV studios for “At home with Carol Burnett” which was a Worldwide Telecast. Robert is currently Co-Principal Horn with the Oak Ridge Symphony, Second Horn with the Symphony of the Mountains, Kingsport Tennessee and is a frequent sub/extra horn with the Knoxville Symphony Orchestra. Currently he freelances throughout Tennessee and teaches privately in the Knoxville area and is a founding member of the KnoX Brass WorX Quintet. In his “spare time”, Robert is a “Senior Network Engineer” for a “Major, local area business”. In his capacity there, he is a member of an eight person team and dedicates his activities to maintaining the Infrastructure for around 400 or so Web Sites. The heights by great men reached and kept / Were not attained by sudden flight, / But they, while their companions slept, / Were toiling upward in the night.